Okay, I'm going to try to avoid jargon here. I could say "I've been modulating the NMF" and I would sound like a modelling wanker. 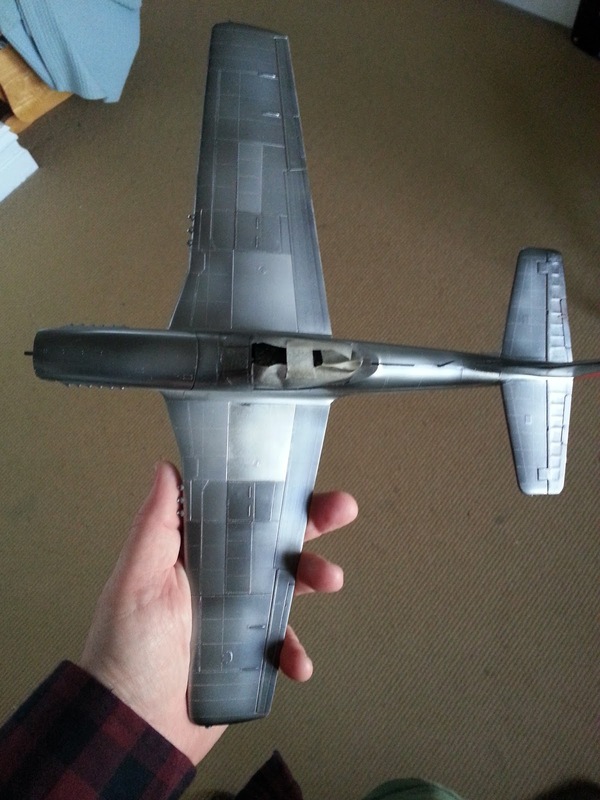 It's a fancypants way of saying I've been airbrushing different coloured panels on the metallic outer skin of the Mustang. By having different-coloured panels, it looks more realistic, like field repairs have been made over time, and many actual panels are riveted to the plane, rather than it all being one uniform metallic colour. It was a cold and sunny weekend, and I got a couple of hours airbrushing time in, which was a great luxury. Here is the end result of modulating the panels. I think it's got an interesting texture, there are a good range of metallic shades to my eye. I'm pretty happy with it. 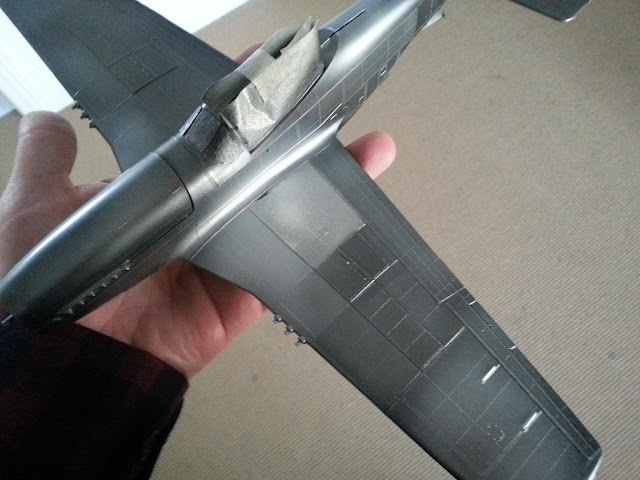 There is one black smudge near the side of the fuselage which needs fixing. Bugger. 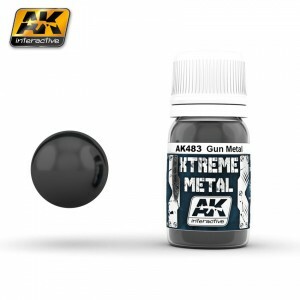 The product I used is AK Interactive Xtreme Metal. 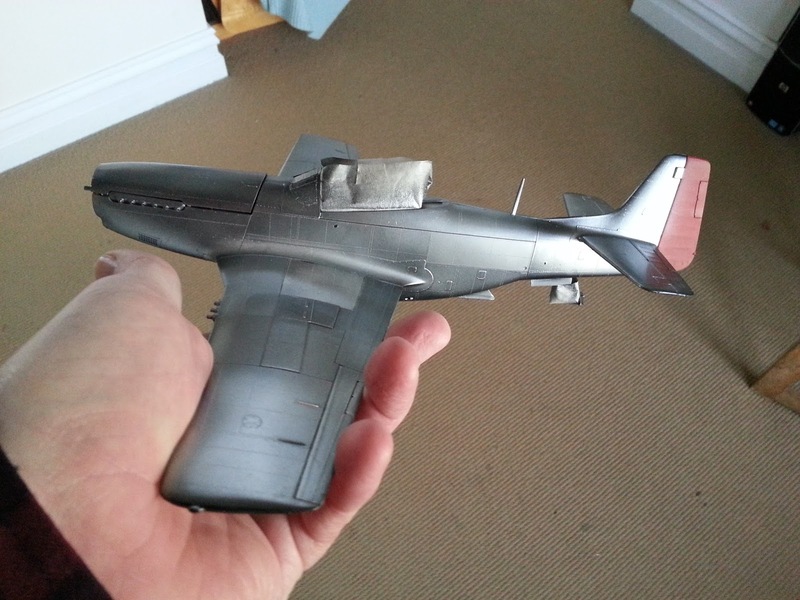 The overall colour is Chrome, and I then mixed it up spraying certain panels either Gun Metal or White Aluminium. 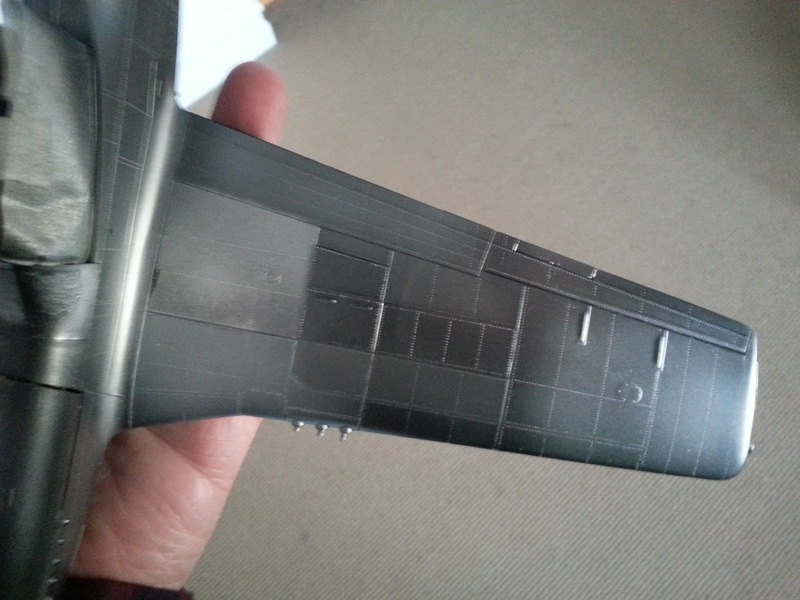 They spray on well, but I have to say that they aren't the most durable finishes, I had a couple instances where I had to respray due to smudges which I would not have expected from normal Tamiya enamels. Masking is also a bit iffy unless it is really, really well cured - more than 24 hours at least, I'd prefer a week for curing to be honest. 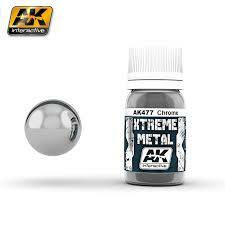 But I still recommend the finish, it's a great metallic range. 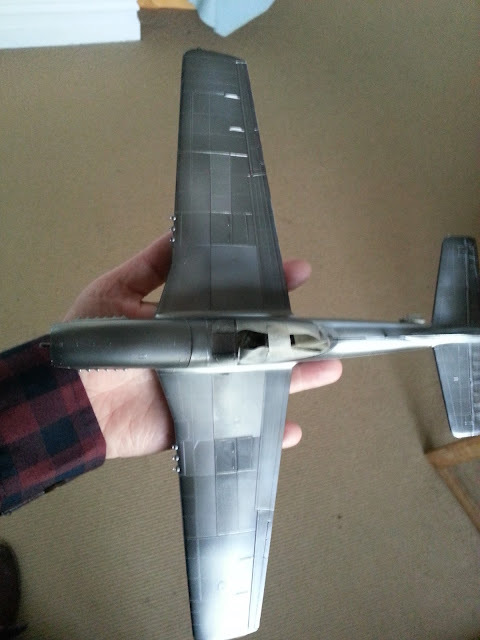 I also got a chance to work on the propellor blades, weathering these bad boys up a bit. I'm working on a video of this process, so more to come soon on that. It's good to be back in the saddle after having lost my mojo a bit last week.